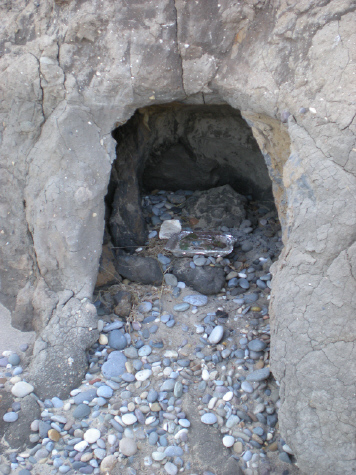 Contents prepared by Brian Williams in December 2011. 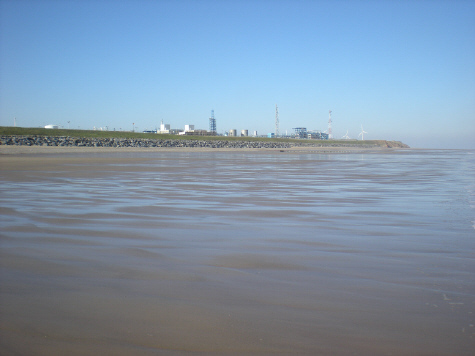 Hover over image for location and date or see enlargements. 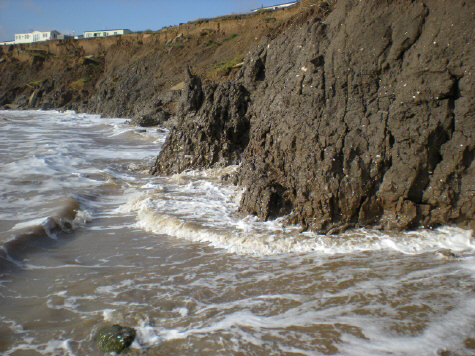 Waves approach the coast predominantly from a north-easterly direction and the water falls back at a lesser angle. 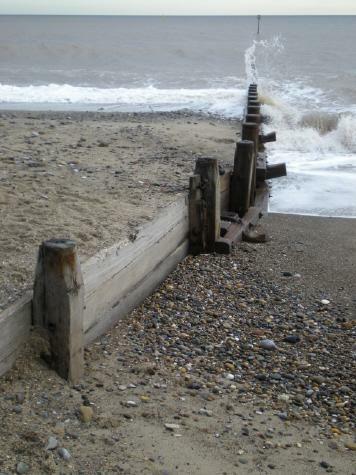 As tides come and go, the sea can be thought of as sawing away at the cliff base. 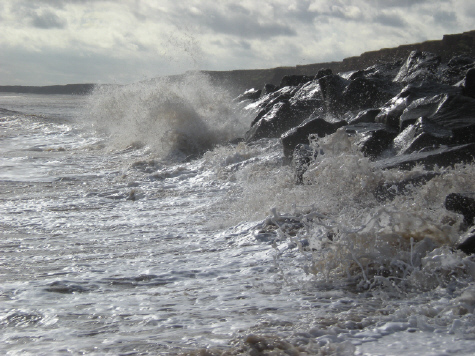 In high winds and storms, there is also a destructive pounding. 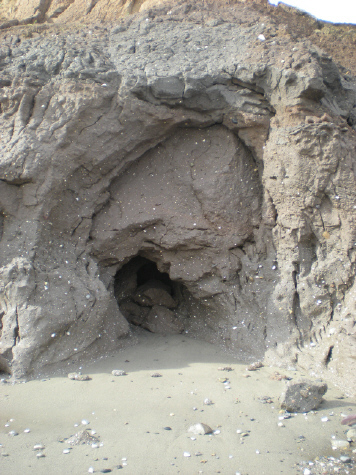 Where a cavity forms in the clay, a combination of surging water and trapped air may enlarge it to a temporary cave. 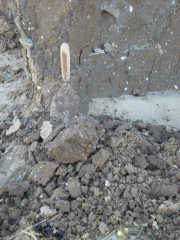 Accumulations of pebbles and stones produce abrasive ‘milling’, which accelerates the process. 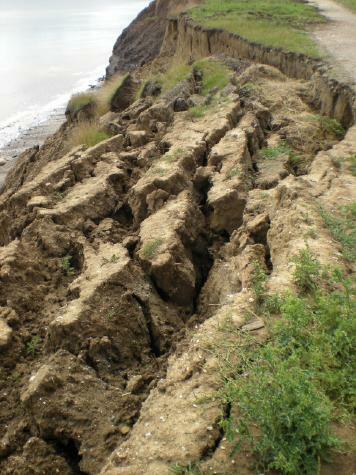 At the top of the cliff, the material of the edge has nothing to contain it on the seaward side. 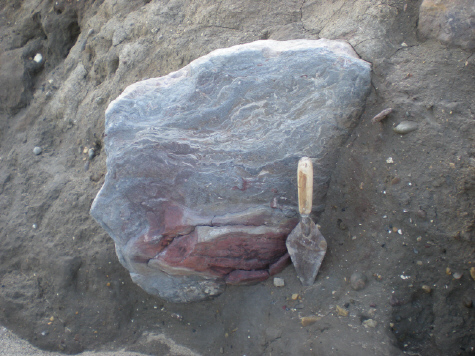 It becomes detached. 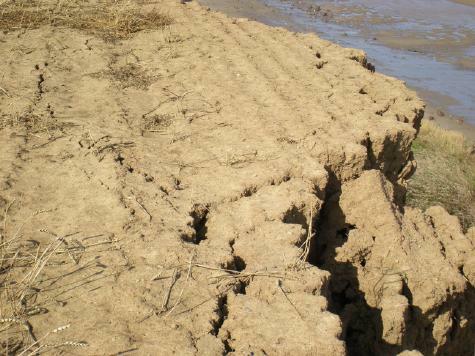 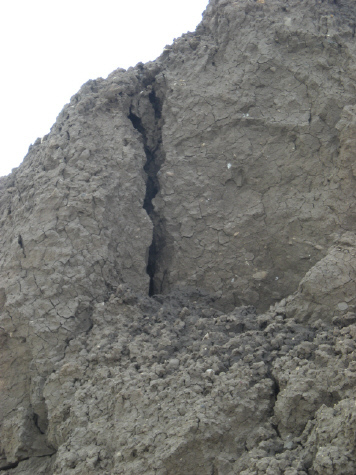 Rainwater enters the clay more easily through cracks, weakening it further (and freezing in winter). 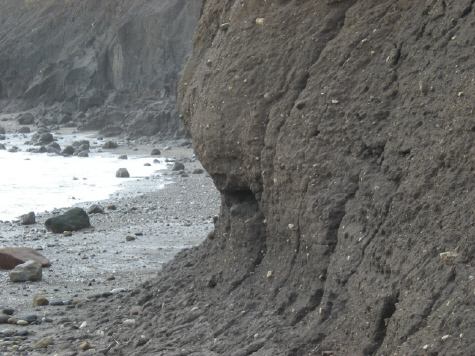 The separation, or breaking off, of large pieces may continue in the cliff face. 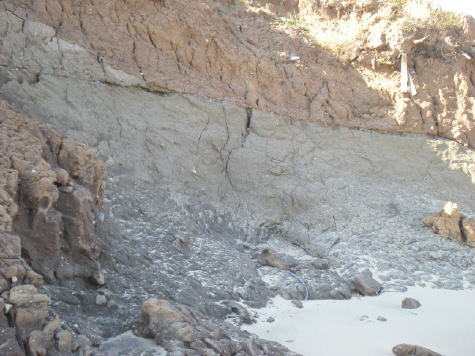 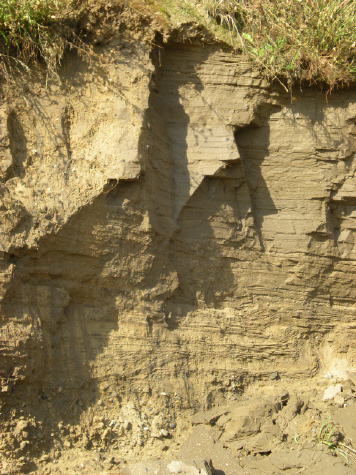 A loss of material through wave action at the lower cliff leads to failure higher up. 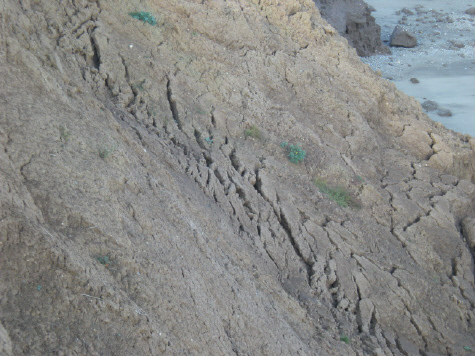 Entire sections of cliff are seen to slide, often with a backwards tilt (called a rotational slide). 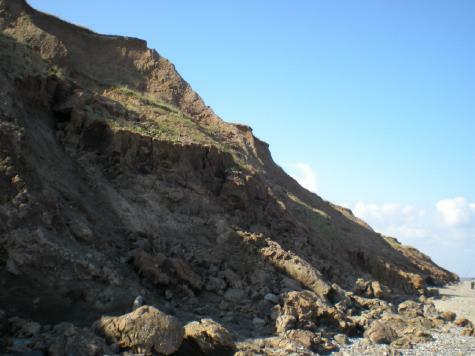 Pieces of the former land surface slowly descend the cliff as if on a downwards escalator. 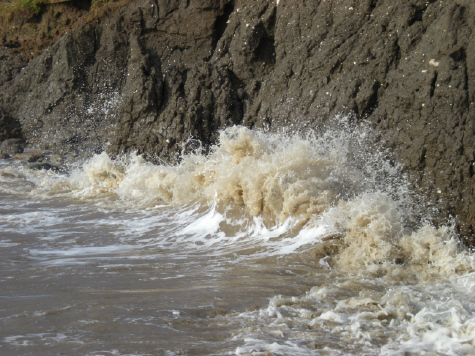 Elsewhere, the cliff may slump through the action of heavy rainfall. 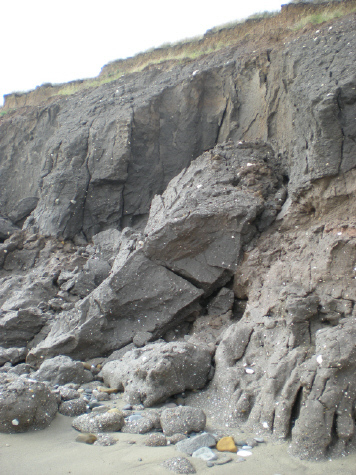 In certain locations, a part of the cliff face may crumble to fine pieces, or fracture along bedding planes. 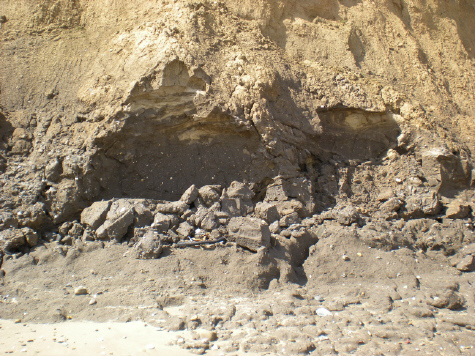 In general, however, falls tend to be blocky, where occasionally a large amount of material is suddenly released towards or on to the beach. 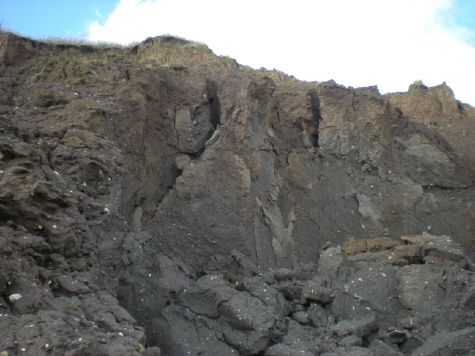 Stack formation is rare in the Holderness clays although sometimes the potential is observed. 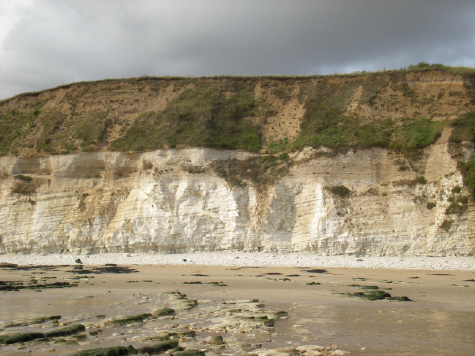 The till of East Yorkshire is generally considered to begin at the north end, where the pre-glacial chalk cliff turns inland at Sewerby. 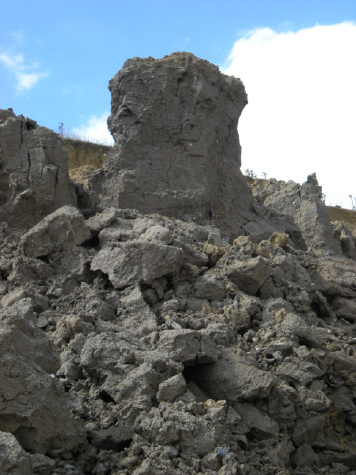 Clay also lies above the chalk where from time to time it slides or falls down the face. 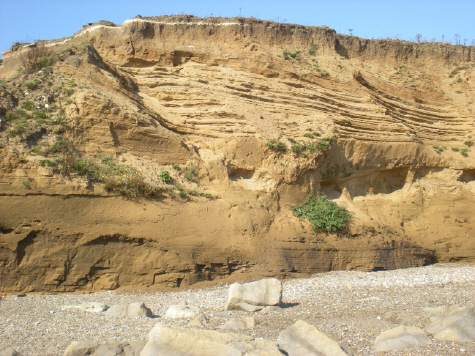 Along the coast, lengths of cliff break to a repeated pattern of indentation (called serration). 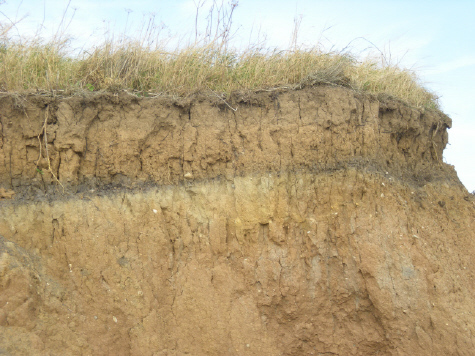 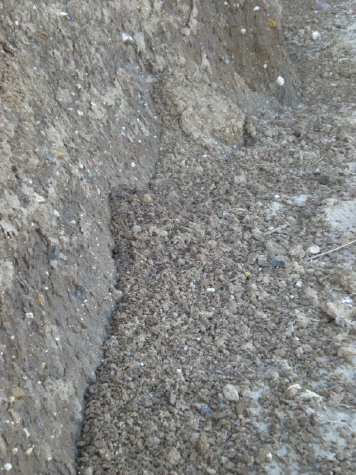 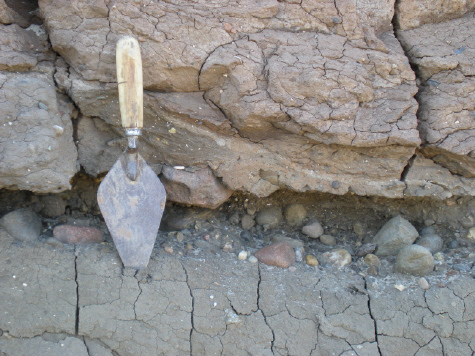 For a short depth below the surface, the clay is weathered into soil – this layer was once thought to be a separate till. 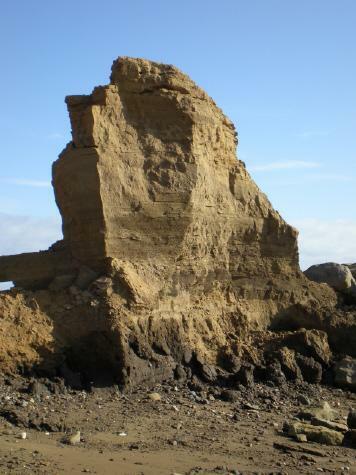 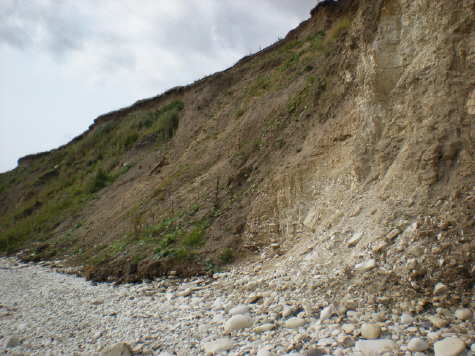 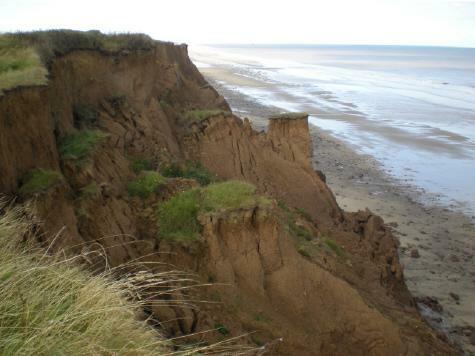 The Holderness cliffs display contrasts in angle of slope, also in height. 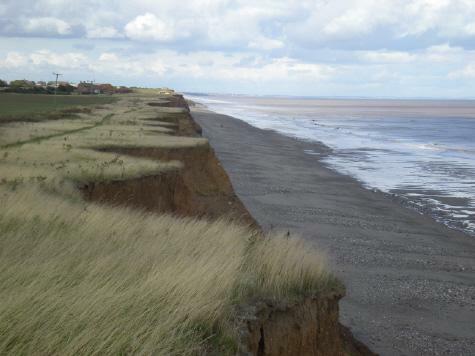 A figure on the beach in the distance at the extreme right of picture 32 provides an idea of scale for Dimlington High Land (which rose even higher to the east in the past). 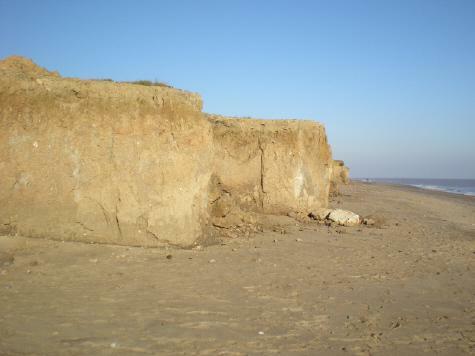 Low cliffs are found at each end of the coast. 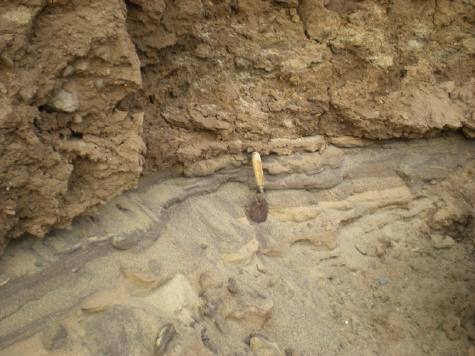 Heavy clay tills predominate, one member clearly overlying another in the cliffs to the south, but extensive sandy deposits can also be found in the cliffs. 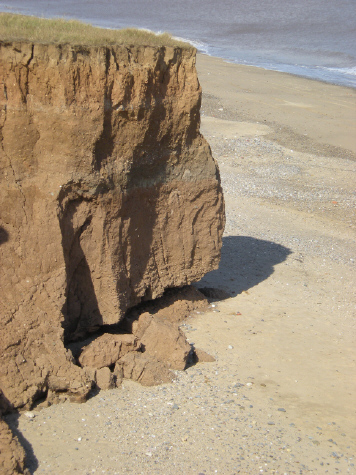 As the cliffs erode, the sea tends quickly to break up and wash away the clay. 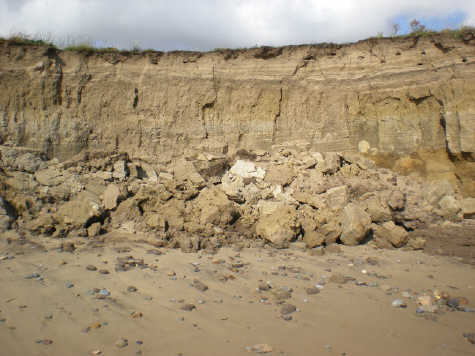 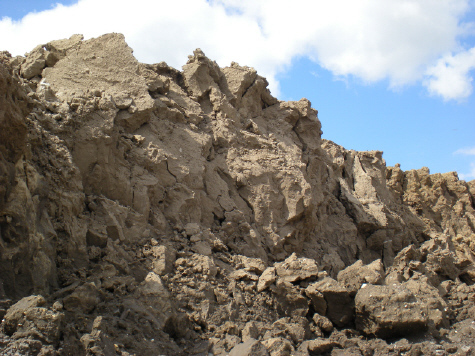 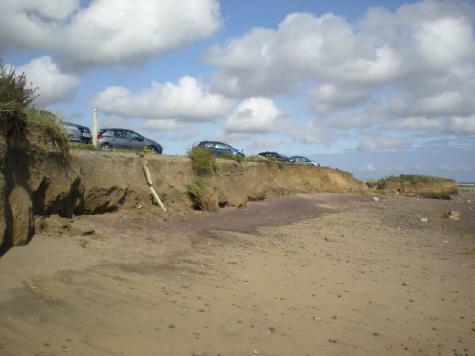 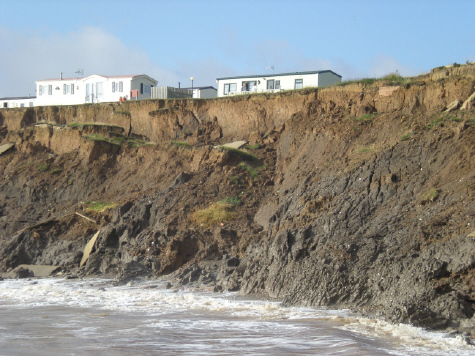 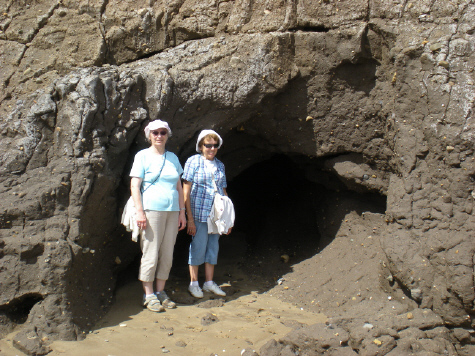 Many pictures taken of East Yorkshire beaches show little evidence of the vast amount of material removed from the cliff. 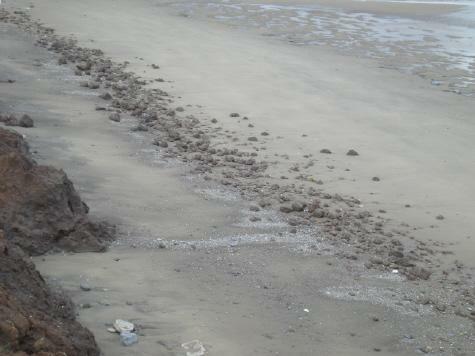 But mudballs will always be found somewhere. 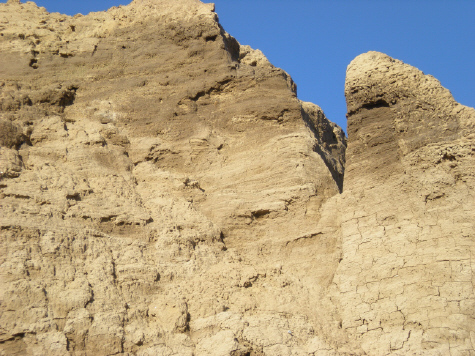 They may align parallel to the cliff or seem randomly scattered. 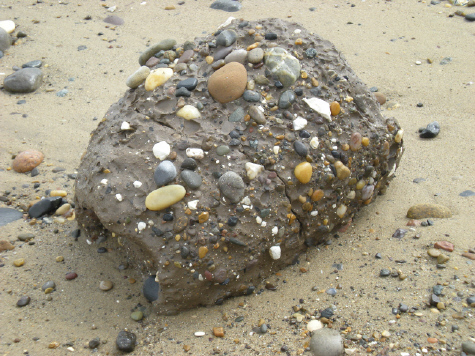 A close-up of a mudball reveals a pebbly, ‘armoured’ surface, acquired from being rolled about by the tides. 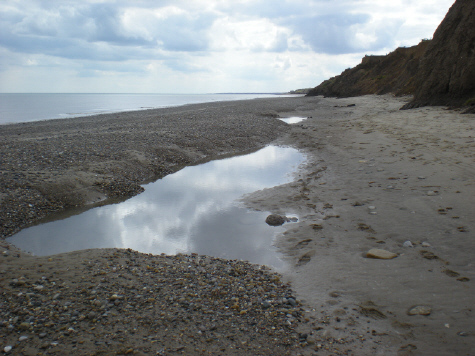 Another beach sight is the ord, a feature characterised by a bank of shingle and sand with runnel (back channel). 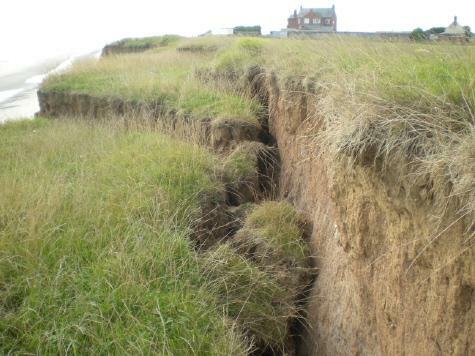 As ord systems creep slowly southwards, they are associated with an increase in the rate of local cliff erosion. 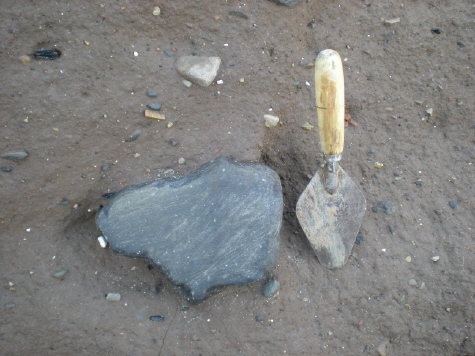 Erratics of many sizes are found in the clay. 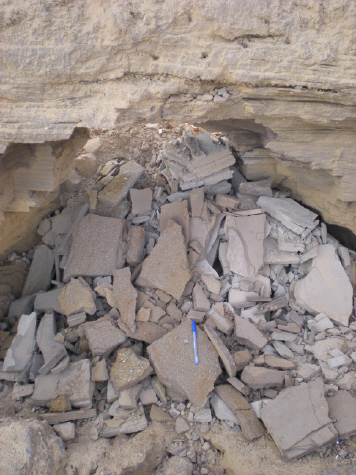 A few exhibit flattened faces and parallel scratches, distinctive evidence of having been transported within a glacier. 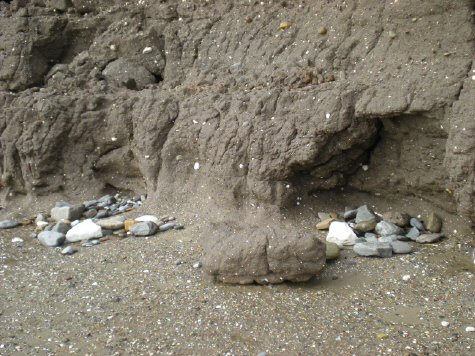 At certain locations, beds of silt, sand and gravel mark phases of glacial retreat, or boundaries between tills. 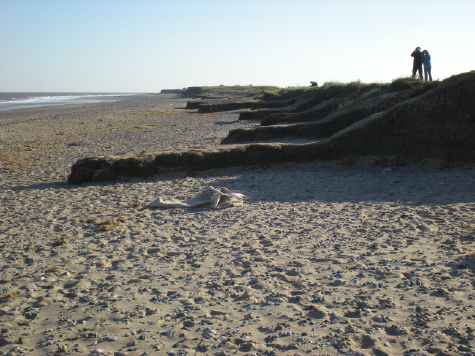 Some man-made structures found along the Holderness coastline were constructed to defend against enemy invasion. 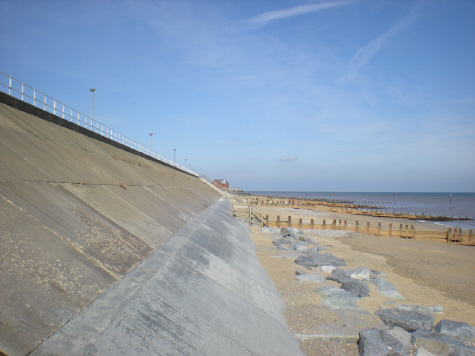 Defences to counter coastal erosion range from simple groynes, or breakwaters, to extensive sea walls. 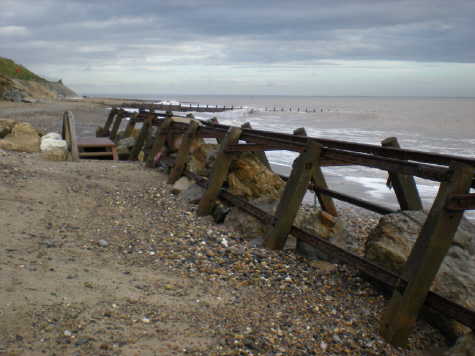 Gabions, which are metal enclosures filled with lumps of rock, have been used in places. 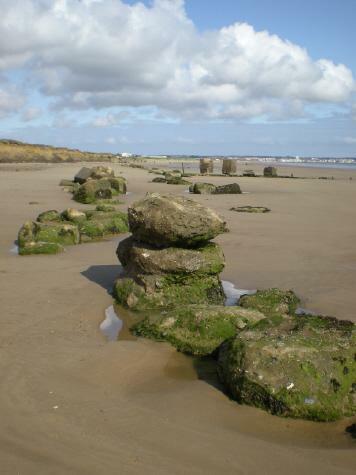 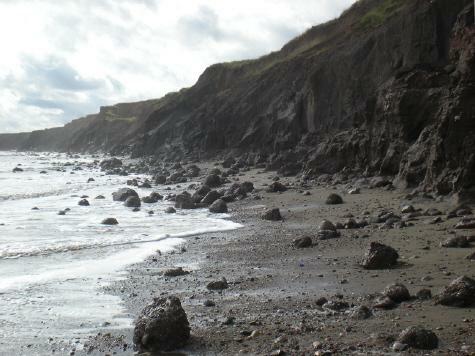 Locations such as Mappleton and the gas terminal at Easington are protected by lines of granite boulders.